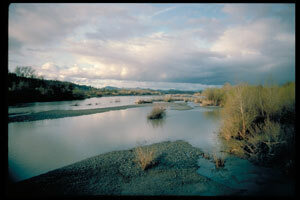 Downstream of Squaw Rock the Russian River spreads out over the 22-mile long Alexander Valley. Flanked by mountains on each side, the valley has numerous small tributary streams and a few large creeks. Over many thousands of years over a hundred feet of gravel, eroded from the surrounding hills, has filled the valley. 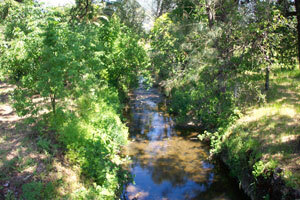 Floodplain wetlands and riparian habitats developed a mantle of fertile soil in the valley. 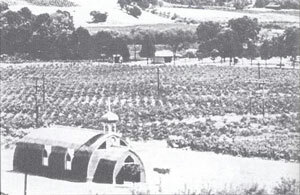 Following trapper Cyrus Alexander’s settlement in the area, Alexander Valley became an agricultural region producing fruit crops, winegrapes, dairy, and livestock. The Italian Swiss colony at Asti was a major winery before a root louse, phylloxera, wiped out the early wine industry. 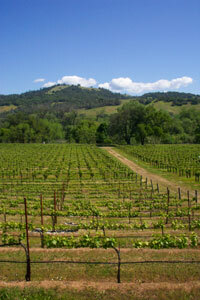 During the 1960s, Robert Young planted winegrapes, re-invigorating the wine industry in Alexander Valley. Today, Cloverdale and Geyserville are the primary towns. 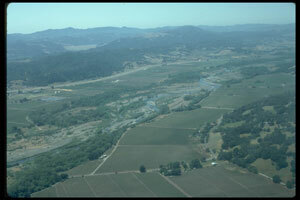 Tributary streams in the Alexander Valley include: Big Sulphur, Oat Valley, Icaria, Crocker, Barrelli, Gill, Gird, Peterson, Miller, Lytton, Sausal, and Hoot Owl creeks. The 471-acre Asti Ranch encompasses the former Italian Swiss colony winery as well as frontage on three creeks and over one mile of the Russian River. This reach of the Russian River supports Chinook salmon, and Beringer installed a major revegetation project to reduce bank erosion. 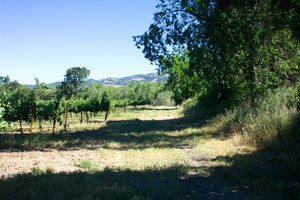 Cake Ranch borders the Russian River and has a wide riparian corridor. 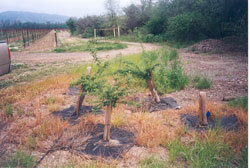 Non-native invasive Eucalyptus trees were removed from the corridor and native trees were planted. Clos du Bois farms over 800 acres in the Alexander Valley adjacent to the Russian River and Lytton Creek. Clos du Bois annually produces over 7,000 cubic yards of compost for use in the vineyard, increasing the sustainability of the overall operation. Numerous habitat enhancement projects have been implemented on the property including the removal of several acres of vineyard along Lytton Creek to allow for restoration of riparian habitat, removal of large stands of the invasive non-native plant Arundo donax, or giant reed. To recognize their outstanding land stewardship and innovation in both vineyard management practices and habitat restoration, Clos du Bois was named the 2003 Fish Friendly Farming Outstanding Land Steward of the Year in Sonoma County. 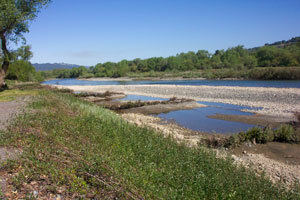 These sites are situated along the Russian River, where bank erosion is a common problem. 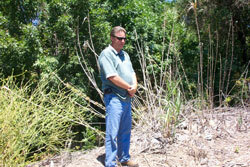 Natural measures are used to control and stabilize the banks, and site managers are working to eradicate non-native plants such as Arundo donax from the river corridor and ditches. In 2003, Ferrari-Carano received an FFF award for Exceptional Actions and Dedication to Environmental Conservation. The vineyards in this 38-acre site are managed using organic methods and cover crops to protect the soil and water quality. 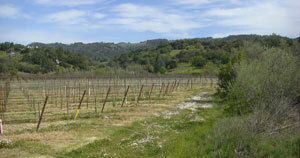 The Hafner family has grown winegrapes on this 220-acre site for over 20 years. Over half of the property is left in wildland or grazed lightly for fire management. Parke Hafner and vineyard manager Rafael Jimenez use integrated pest management (IPM) methods and cultivate under the vines to reduce or eliminate the use of pesticides and herbicides. In addition, Parke works with his neighbors to eradicate invasive non-native species such as blue periwinkle from Sausal Creek. This 425-acre ranch, of which only 40 acres are planted, straddles the foothills along the southeastern edge of Alexander Valley. 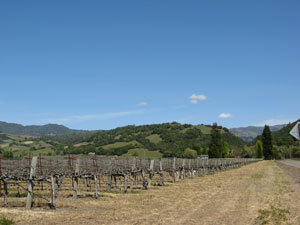 A number of vineyards dot the hills, separated by creek corridors. 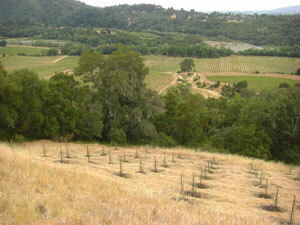 Each vineyard is fenced individually to provide wildlife corridors across the property. 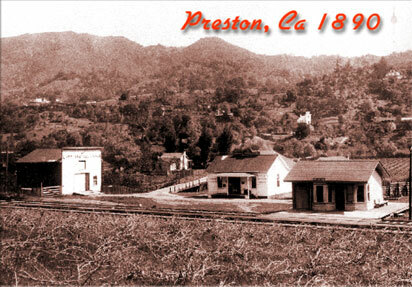 This 409-acre site includes the location fo the 19th century utopian community of Preston. Madame Emily Preston was the community founder and leaderof the church of Heaven on Probation. She was also a faith healer. 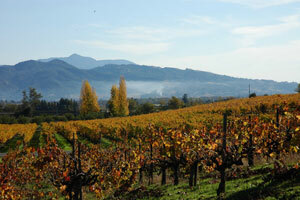 The 89 acres of vineyard on the site are carefully managed to conserve soil and use very low amounts of chemicals. Rodney Strong Vineyards - Alexander’s Crown/Charlotte’s Home Vineyard, Brothers Vineyard, Bud’s Ranch, Alexander’s Crown/Charlotte’s Home Vineyard, Bud’s, Hubbard, Piccolo, and Pine Flat Ranches, totaling almost 400 acres, are being managed for soil and water conservation. Rockaway Ranch, a scenic site along the eastern hills of the Alexander Valley, encompasses 700 acres, including 125 acres of vineyards. 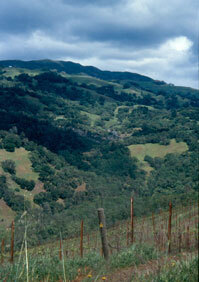 No-till practices are used on these hillside vineyards to protect soil and enhance water quality. 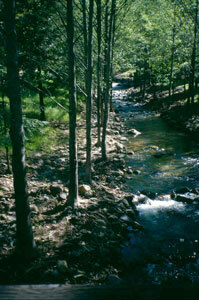 Rockaway Creek flows through the ranch and supports steelhead trout. 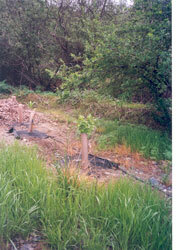 A Fish Friendly Farming project to increase riparian or streamside habitat on Rockaway Creek was implemented in 2004. The landowners relocated a road and fence to create more habitat area for the project. Originally certified in 2003, Rockaway Ranch completed re-certification in the Fish Friendly Farming program in 2008. Wild Oak Ranch is 300 acres and lies along the northeastern edge of Alexander Valley, encompassing rolling hillsides and oak-lined creeks. Owner Barry Hoffner farms 47 acres on this 360-acre site on Pine Mountain above Cloverdale. Barry has kept the riparian corridor of his creeks in native vegetation, and keeps a thick cover crop on the vineyard roads and in the vineyards to maximize soil conservation.